If you have been following my blog, you should know by now that eggplant is one of my favorite vegetables. Grilled, fried, raw, cooked in anyway possible; I love it. This is a salad made with eggplant that can be eaten as a side dish that goes well with anything. When my mother used to make it, she managed to make a big quantities, to feed our large dinner table 🙂 You can also use it to stuff into a sandwich, which was useful as kids when we needed a quick bite before running out to play with my siblings. It is the season of Autumn, and now is the right time for preparing the Mouneh (pantry). A few weeks ago I showed you how to prepare preserved meat, Awarma. 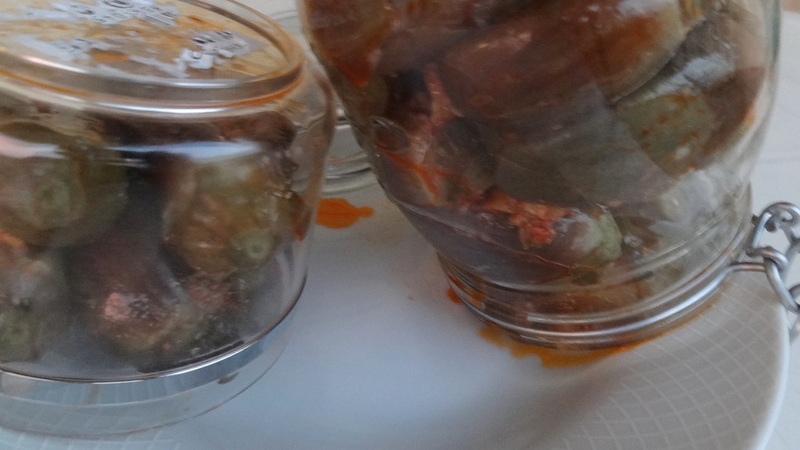 Now I’m going to show you how to preserve eggplants, using a recipe I learned from my mother-in-law years ago. 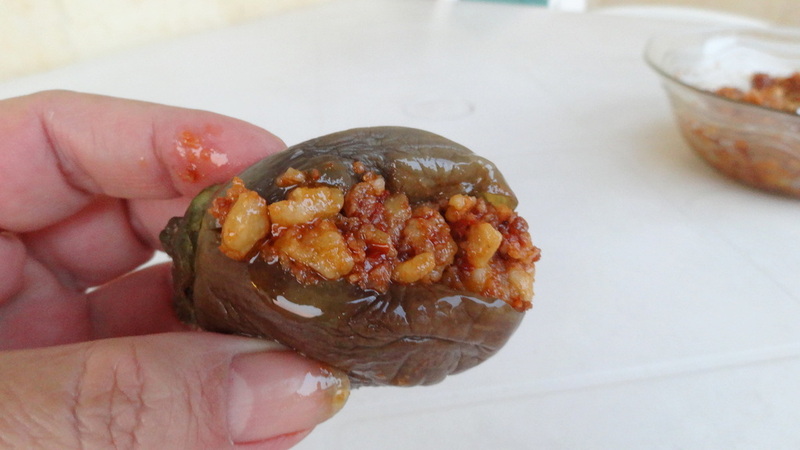 It takes about ten days for the Makdous to have been pickled properly. 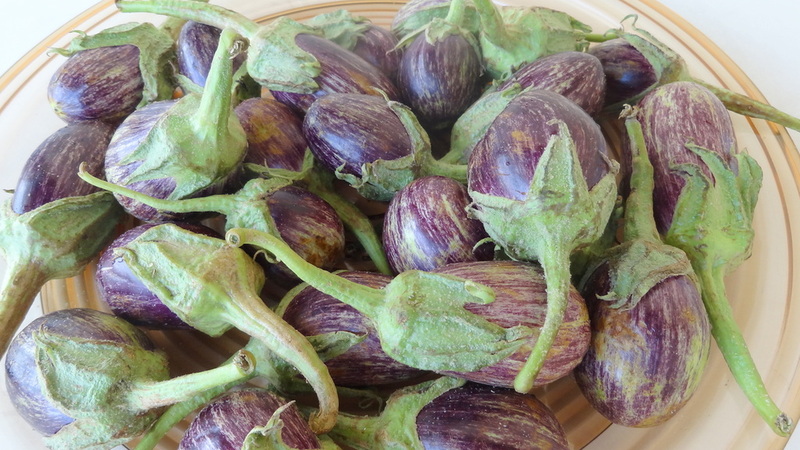 After it has been prepared, the eggplants can be eaten as a appetizer, side dish or can even be put in a sandwich alone. You will find many ways to enjoy it by playing on your own. Personally, I like to eat it for dinner with labneh (yoghurt) and cheese on the side; it makes for a lovely and easy to prepare dinner.